See the blossoming almond trees at Santa Agnés de Corona. If you're lucky enough to go to Ibiza in winter make sure you go to Santa Inés, or Santa Agnés as the Ibizans call it - you'll love it! It's in the north-west of the island in the municipality of Sant Antoni de Portmany (San Antonio)... but the landscape couldn't be more different. There aren't any hotels or apartment blocks. No nightclubs, no souvenir shops, no international restaurants. Do you want to discover true 'payesa' culture? The houses in Santa Agnés de Corona are a perfect example of rural Ibizan architecture. People live surrounded by countryside, where the tranquillity and pure air are a pull for the island’s more peaceful inhabitants - and travellers of course - seduced by the charms of the landscape! And it's at its most charming in the first months of the year, when the almond trees come into bloom at Es Pla de Corona, (the name of the crop plains at Santa Agnés). This spectacular sight - of fields blanketed in an abundance of white blossom - lasts for around five weeks, and the town celebrates with local fiestas, and walks and excursions around the area. The main day for celebrations is the 21 January but depending on how hot the summer has been the almond tree blossom may arrive sooner or later, creating an incredible mix with the orange and lemon trees. The farm houses are scattered around the church of Santa Agnés de Corona, built in the eighteenth century at the request of the townspeople. This place may be one of the most isolated regions from the capital of Ibiza but, thanks to its rich and fertile agricultural land, it is plentiful. You may notice how low in height the church is. According to the people who live in the town, this was because of fierce competition between the inhabitants of Santa Agnés and Sant Mateu (the nearest town) to see who would finish the construction of their church first. The 'Coroners' were quicker than the ‘Mateuers’... because they decided to build a lower church - they finished the job first and could claim their victory! Another curious feature of the church is that it has two entrances, in spite of being so small. The first was built in 1870 as a sign of mourning after a crime was committed in the church itself, and it stayed there until 1965. As well as the church, Santa Agnés de Corona has a shop selling artisan leather goods, and a couple of bars - Can Cosmi and La Palmera. And that's it! Can Cosmi is renowned for its lamb chops and Spanish omelette, and it still has a space that was used for selling groceries inside, kept just as it was used decades ago. It's as though time has stood still! Close to Santa Agnés de Corona is Sa Penya Esberrada lookout point, a place frequented by the hippy community in the seventies, who would go there to watch the sunset and take in the mystical islets of Ses Margalides after the sun had set. When you see the spectacular cliff surrounded by pine trees, and those permanently stunning turquoise Ibizan waters, you'll know exactly why some people call it Las puertas del cielo (The gates of heaven). Today artists, photographers, painters, and writers all come here to search for inspiration. How do you get to Santa Agnés de Corona? You can catch several public buses a day from San Antonio. And if you're getting around by car you can come on the San Antonio motorway via Sant Rafael, or on the motorway from Sant Miquel via Sant Mateu. 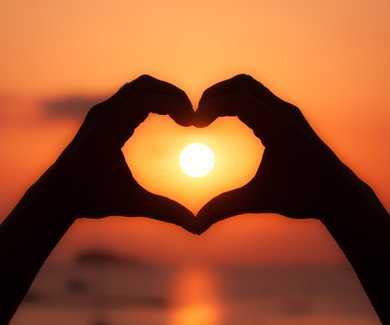 Make it a day to remember and visit the most enchanting towns on the island of Ibiza! team for more information about the hikes and landscapes Ibiza has to offer. 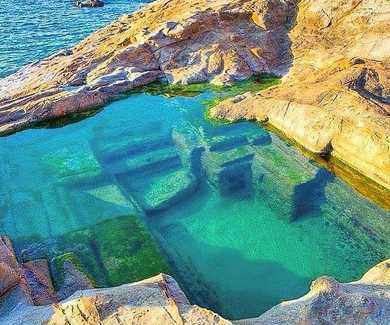 Atlantis, a secret cove in Ibiza. 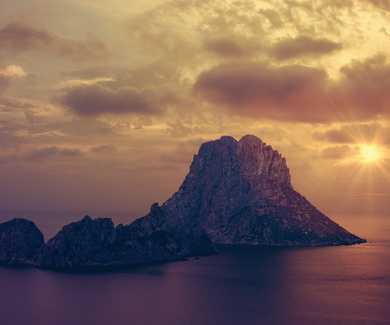 San Antonio, one of the most incredible sunsets on the island of Ibiza. 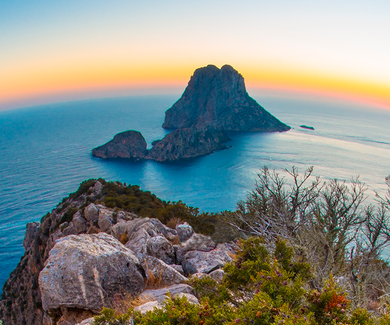 Es Vedrà, magic and energy in one of the most incredible spots on Ibiza.